When I was thinking of poetry to share on Watershed Ecotherapy, Mary Oliver’s “Wild Geese” was the very first one I thought of. I forget when I first read it; it was sometime in graduate school, if I recall correctly. But it spoke to me of a different way of viewing both the human tendency to err, and the greater global context in which those errors occur. American society is incredibly punitive, rife with guilt and shame as harsh controlling tactics. Make a mistake, especially where others can see it, and you’re permanently marked. Even if you manage to do better going forward, you never stop being that person who screwed up that one thing, in the eyes of others as well as yourself. And when you’re struggling to move past your errors, that stigma can be a heavy weight indeed. That’s why I absolutely love the opening line of this poem. When we are told to “be good”, we are expected to live by a particular entity’s idea of what is good, whether that is family or religion or culture. Too often we aren’t allowed to question that authority, especially when what is supposed to be “good” ends up in people being harmed if they differ; witness, for example, the violence done to LGBT people by those who think being anything other than heterosexual is “not good.” It’s hard enough dealing with shame when you’ve genuinely done something wrong to another person. When you’re subjected to punishment for something that was never wrong in the first place, it is an additional psychological burden. It is not necessary to beat yourself up for a seemingly interminable time when you do make a mistake, and you don’t need to make a show of penance to everyone else. Those things will not teach you to be a better person; all they do is injure you further and cut you down. Instead, you “let the soft animal of your body/loves what it loves.” We know, instinctively and socially, what is right and kind in our actions toward others and ourselves. We know how to act from love, and how to listen to our conscience and our gut. But that internal voice is a whisper, and is easily drowned out by the shouting of guilt and shame. Our punitive society separates us from that voice and makes it even harder to rediscover it and its guidance. We put up defenses because we anticipate harsh retribution, and this dull sour senses to the world. When we share with each other, we are allowing ourselves to be vulnerable, and we’re offering others a safe space to be vulnerable in as well. Many of the skills in modern therapy are simply aimed at creating a space for clients to feel comfortable opening up, and to respond positively and constructively as they do so. Of course, this is a special space where the client is the primary focus; the therapist leaves their own despairs, worries and other feelings in the background. It’s still an important opportunity for both counselor and client to exercise creating a space for vulnerability, and the skills each learn can be taken out into the greater world. We are so dreadfully closed off from each other in the Western world, particularly the individualistic and sometimes quite macho American society, and we need to re-learn gentler ways. When something bad happens, especially when we are at the heart of it, it can seem that the world is coming to an end. Yet the world is an expert at moving on from even the greatest of cataclysms. No matter your error, the sun still rises and sets, the rain still falls, the wild animals and plants still live their lives out in the open. You did not cause everything to fall apart; don’t give yourself so much credit. And that world will still be waiting for you once you raise your head up out of your despair. 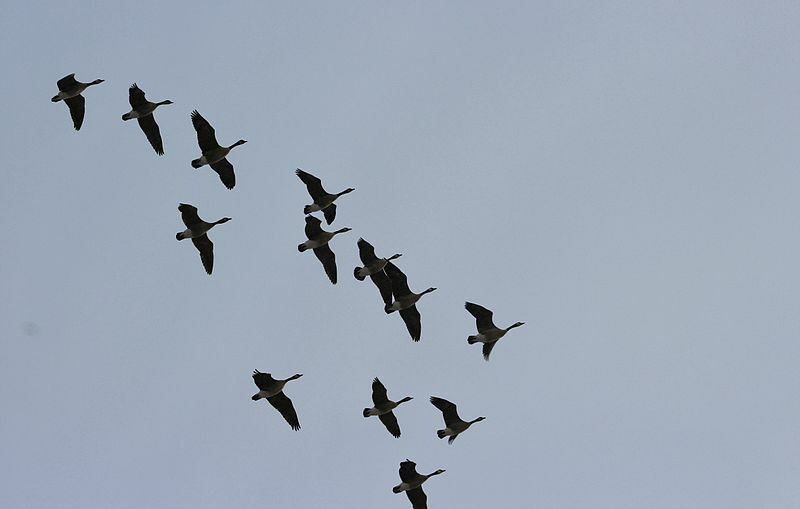 Have you ever heard geese calling as they fly north for the spring? It’s a loud, raucous, but joyous sound. They are going to the place where they can feed and mate and raise a new batch of young, where ice has given way to greenery. No matter your despair, they continue that migration each year. All that and more are out there for you to experience, with migrating geese and traveling clouds and the waves of the ocean charging up and down the beach again and again. It doesn’t matter what errors you have made, what your history is, what lies heavy on your heart. Nature is forgiving of such things. Maybe it will matter in a year what happened, but it will likely be less important in five years, and not at all in a hundred. And a hundred years is barely a heartbeat in the time of nature. If you immerse yourself in greater cycles than that of your own life, you begin to see just how small your mistakes are in the grand scheme of things. We humans are a part of this world, even when we try to convince ourselves otherwise. And that place is waiting for us whenever we decide we want to rejoin it. It doesn’t mean running off into the woods and living off-grid and eating larvae and wild plants. It does mean living in such a way that we are aware of our connection to everything else, and the responsibility we have to the rest of our community. Just as we know deep in our hearts how to act rightly and kindly to others, so we also know deep in our bones how to act in concert with the other animals, and with the plants, and the fungi, and waters and stones and sky. So much in the past few centuries of human existence has been about conquest and conflict, dominance and abuses and selfishness. Some beautiful and beneficial things have resulted, but we can’t deny the destructive costs as well. We have lost that still, quiet voice within that tells us how best to be in the world, lost in the din of “be good!” and “shame on you!” We no longer trust ourselves or each other to know better and be better. But the wild geese call us back to that place, where instead of guilt and shame and punishment we are motivated by love and community and connection. We are called to be kind to ourselves, even when we have erred, to create the safe space in which learning and healing can occur. No longer threatened with dire penances, we can seek within our most vulnerable selves the hurts that led us to act harmfully, and heal that within so that we can heal that without.